I am not a fan of jump scares. Jump scares are the refuge of the unimaginative. They are Vine fodder. They are the stuff of trope-laden reaction videos. Most of all, they are cheap. Real horror comes from introspection, the idea that what you are viewing is not a product being shown to you, but a suspension of disbelief compelling enough to make you believe that reality, as you know it, is a lie. Believe it or not, a two-dollar game has captured it…even if it is a bit on the ham-fisted side. The Final Take loosely follows the story of three poor, unfortunate souls who happen upon the investigation of a decrepit (and, of course, haunted) hospital. I know, I know. Boring. Cheap, blocky models and limited controls aside, The Final Take makes its money by giving you just enough control to work yourself into a froth trying to just figure things out well enough to get out alive. Normally I would find this to be intolerable, but normally this happens in games that pretend to be much more than they are. Not The Final Take. This game knows exactly what it is. How difficult is a horror game when you have absolute control of your environment? When physics are so realistic that you can break any window to climb out, or you can heft the nearest blunt object and defend yourself? If every slasher flick character heeded your advice? The answer, of course, is…not. Not scary. Strangely enough, The Final Take manages to deny you just enough control to make you feel utterly helpless. Like a dream where you have not quite gained consciousness- where you are just hanging above a snake pit, but lack the awareness to just float away or even just to wake up. You are trapped within yourself, in a stygian paradox of your own subconscious design. Therein lies the brilliance of The Final Take. It goes a more ascetic route, synthesizing the elements of atmosphere, the supernatural, and impending failure into an overwhelming sensation of inevitability. Perhaps the most notable aspect of this game is the distortion and various extensions of perception through which your character- and you- negotiate the wafer-thin plot. Each character you play has a different way of navigating through the world. The first character has a cellphone she uses to light the way- and on the little screen you see the altered reality in a slightly different light. 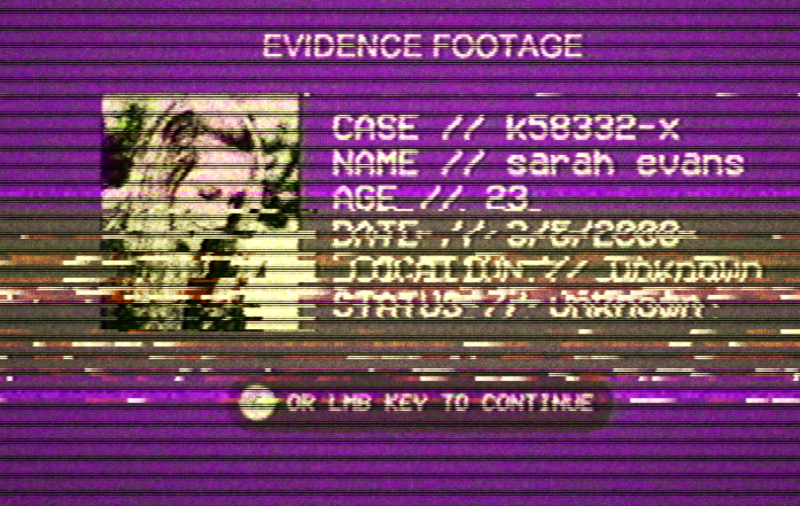 The second character moves through the world with a video camera. 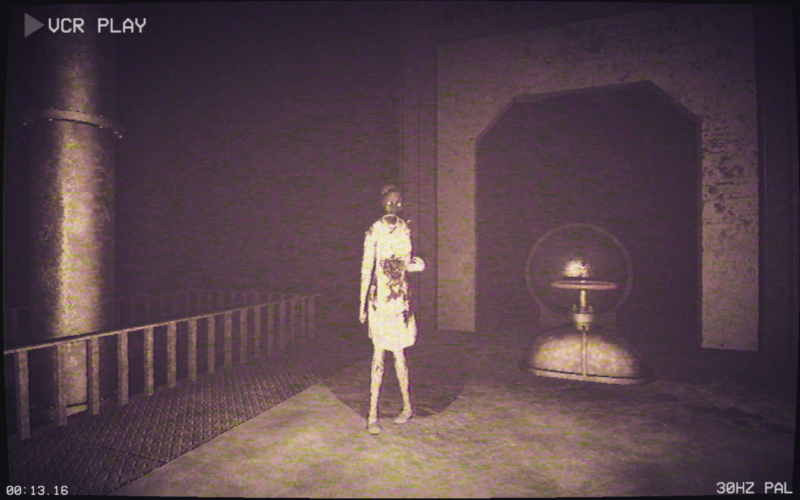 The camera has night vision, which is the only way you can clearly see the environment, but this renders your shambling antagonist invisible, and slows you down so much that relying on it will get you killed with a quickness. 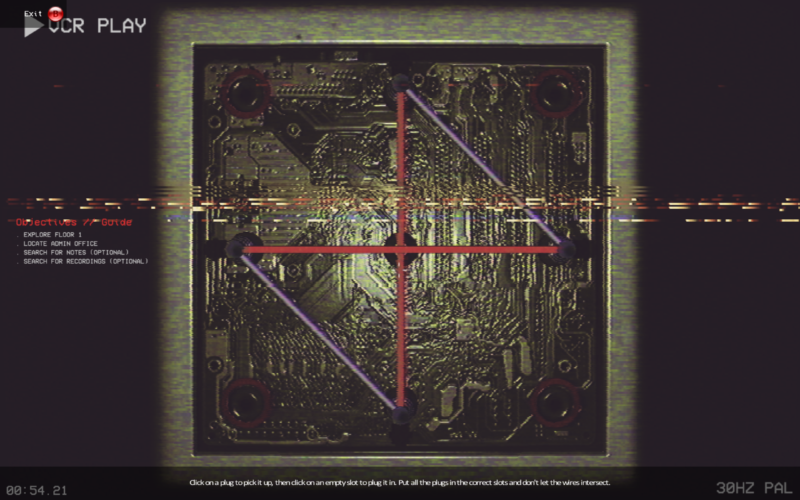 The result is a clever mix of moving through a labyrinthine facility looking for clues while periodically ceding control in favor of perception. It is a devilishly effective mechanic. Broken into three chapters that take between 5 and 15 minutes to play, depending on how serendipitously you navigate the inscrutable puzzles and mazelike levels, it offers the rare tight hour of gameplay I have been searching for since I started reviewing cheap games. Now, don’t get me wrong. This game is far from perfect. The graphics are awful. The sound effects are cheap and sound like they were recorded with a MacBook Pro’s internal microphone. The screams of your ghastly pursuer are only effective because they are sudden, jarring, and unseemingly loud. The controls are almost entirely nonexistent (WASD and forget it!). All that plus puzzles that are completely out of place in a game like this. These things, as I have harped on in previous reviews, are not game-breakers. High dollar games with trillion-poly models and sound effects so crisp that they must have been recorded in the endless void of space do not make a great game. Great games are great because of how they affect the player. 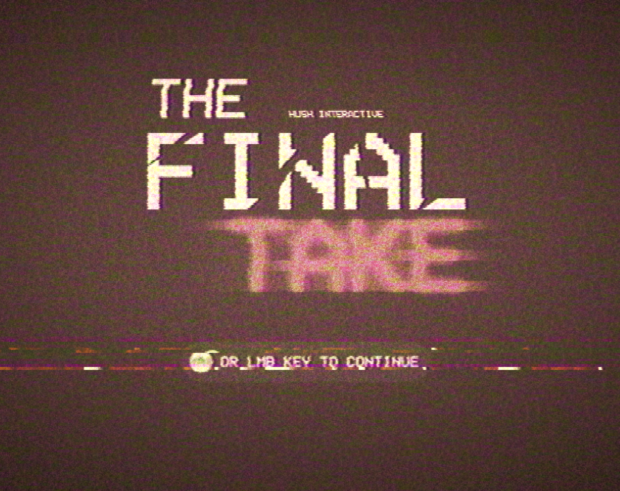 The Final Take is perhaps the best crappy game you will ever play. An excellent atmospheric horror game made on a shoestring budget, it lacks some of the luster that one might expect from a first person horror title, but what it lacks in polish it makes up for in attitude. Another game that sacrifices technology for something much more valuable: heart. For two bucks, it is definitely worth the hour or so of play it offers.